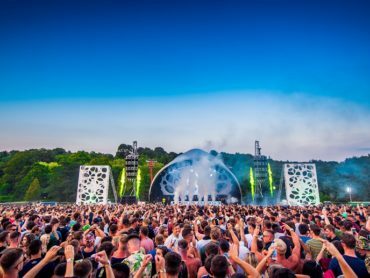 Following Carl Cox, Danny Tenaglia and others, Extrema Outdoor has announced her complete lineup. The organisation is continuing with last year’s chosen direction regarding the programming. New names that grace the festival poster are, amongst others, Loco Dice, Flux Pavilion, Sub Focus, DJ Sneak and Kölsch. All artists will be divided between five different stages. 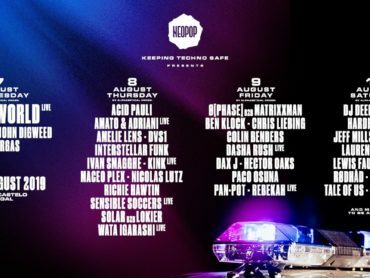 One of these five stages will be hosted by no less then techno pioneer Carl Cox, who is bringing a few of his friends for the occasion. Loco Dice for example. This German once started as a hip hop DJ, but Loco Dice has won the hearts of many music-lovers with his perfectly coordinated sets throughout the years. Other names who are to be admired at this stage are John Digweed, vinyl queenCassy, Jon Rundell and Dutchman Michel de Hey plus Chris Stussy. The relocated Quartz-stage has been given a special location. Where DJs used to play in a big tent, the stage is now a concrete parking-lot where an unique, underground ambience is being created to remind you of the earlier warehouse rave scene. At thisunique location, amongst others, the already announced Mr. Oizo and Busy P, Boston Bun and Para One from the Ed Banger House Party are going to spin on the wheels of steel. New additions are dubstep big shot Flux Pavilion, Sub Focus & ID, Dimension andDutch house pioneer Joost van Bellen. 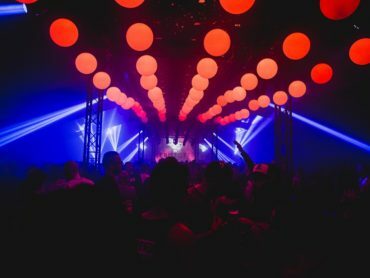 The ANTS Stage with Matthias Tanzmann and Route 94 has been extended with new names as well. The prize-winning concept from Ibizan beach club Ushuaïa is going to bring stars like Kölsch. This huge name from the techno world has sold millions of copies of his records under various artist names. Tensnake, Uner, Los Suruba, Marco Faraone and Thomson complete the stage. A brand-new area is the House Of God, where living legend Danny Tenaglia is going to play an extended set, which will be uniquesince Tenaglia has played only four times in the Netherlands in the past ten years. He is being accompanied by DJ Sneak, anothermuch appreciated house pioneer. Other names are De Sluwe Vos, Ici Sans Merci, Classroom and David Moreno & Fabrizio Marrafrom Ibiza Global Radio. Finally there is the Back To Love Stage, a stage where legendary DJ-heroes will return to play a massive show. This area was chosen as the favourite stage of Extrema Outdoor 2015 and therefore returns with surprising names from the early years. Earlier announced for this stage were Dimitri, Victor Coral and Benny Rodrigues. New names are Erick E, Ronald Molendijk, Per, Brian S and Omeo. The Back To Love Stage is being hosted by Miss Bunty. With this lineup, the organisation elaborates on the direction that was chosen last year. Less mainstream names, but a program with more space for daring music and surprising, unique artists. Besides that, there’s – just like every year – more than merely music. What about funtainment, theatre, performance, lounging at the one kilometre sandy beach and delicious food and drinks? With all this on offer, the visitor will never feel left short of something todo. Extrema Outdoor’s 21st edition is set to take place at the 9th of July 2016 at recreational beach Aquabest, near Eindhoven, The Netherlands.